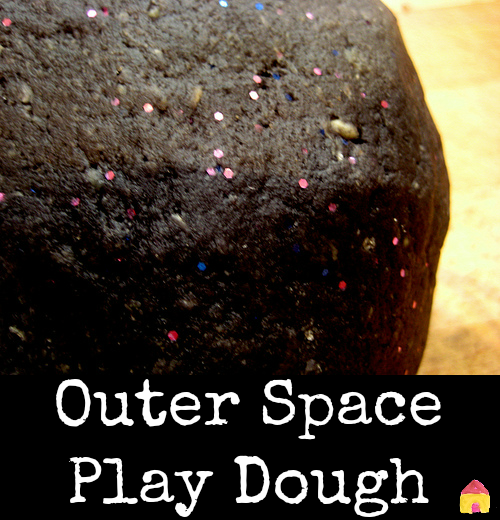 Outer space play dough recipe for sensory play with space theme. 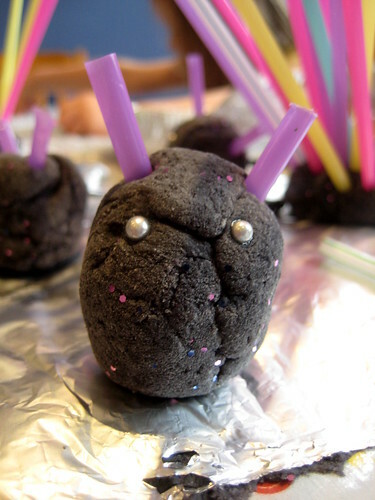 Running low on supplies, the only food colouring in the cupboard for our playdough recipe today was: black. 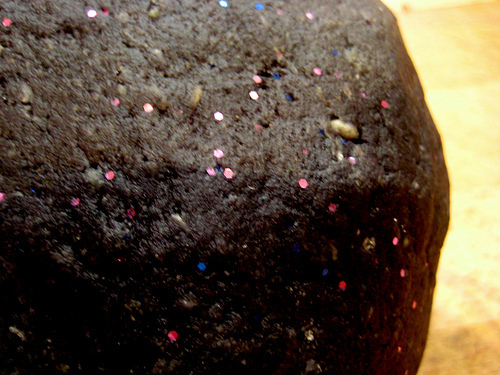 Hmm… what could we make with black playdough? 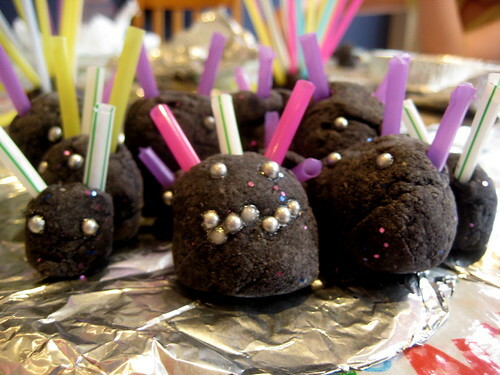 We used our favourite easy no cook playdough recipe and added the black colouring and plenty of glitter. L said it looked like a planet from outer space – so we searched out some other alien items to play with. 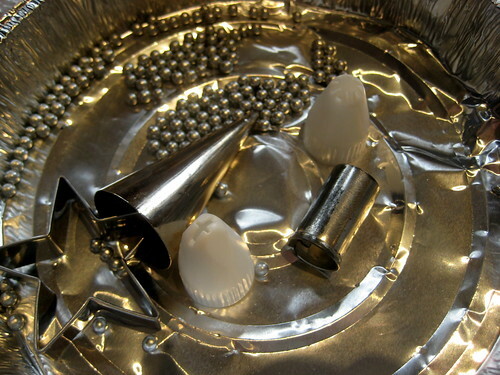 Tin foil, silver balls, icing nozzles. 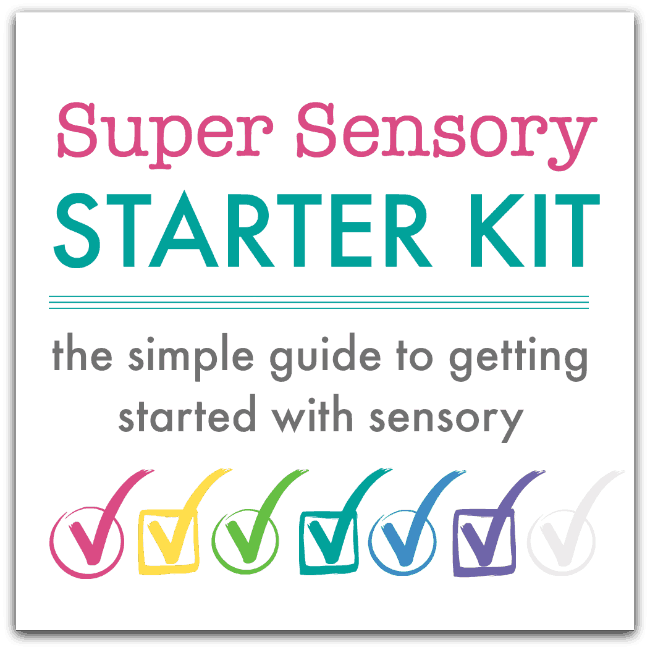 Bubble wrap, tin foil and drinking straws. Playdough is a wonderful play resource all round and today’s play showed how great it is for language play. wow! how beautiful are these aliens,love them. Hi Isil, They’re great aren’t they? oh so much fun! 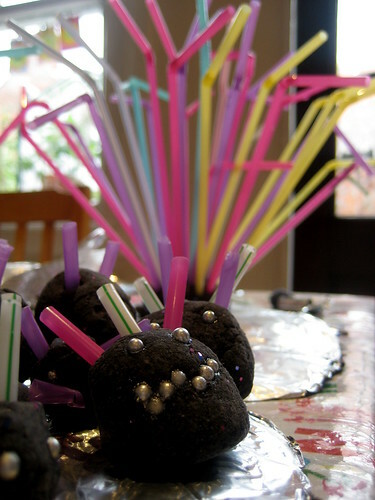 I love the idea of using straws with play dough! Wow, my 6 year old is so into space right now and he would love love LOVE this! Kudos on the brilliant idea! Oooh your Aliens are too cute – loved the space dough when I first saw it Anna’s – but fabulous how made such cute creatures out of it! Cathy, you inspired me to pop out straws on the playdough table this week and they were a big hit! That’s great to hear Jenny! 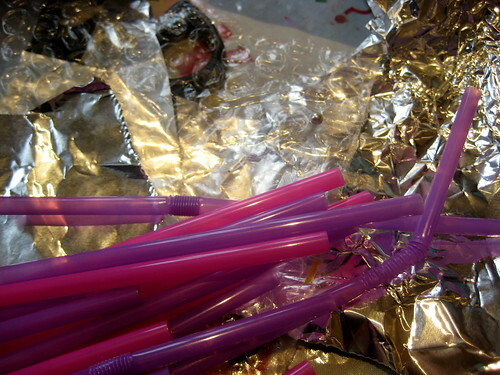 Straws are always a bit hit with the kids at creche too. I’ll have to share a picture of the creatures they make.